One of the benefits of living in a big city is easy access to Chinatown. In my case there are two, and one of them is a fifteen-minute walk from my house, through a big park and a quiet neighbourhood. A couple of times each year, I make the trip to pick up a 20 lb bag of jasmine rice from one of the many Asian grocery stores along the main drag. 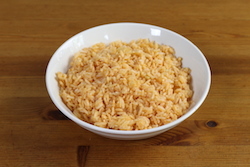 This rice smells and tastes fantastic, and pound-for-pound, it's something like one-third the price of the 2 lb bags you see at the big grocery stores. Given how much I love the flavour of jasmine rice and how often I eat it, it's a little surprising that I never paid much attention to how I was cooking it. 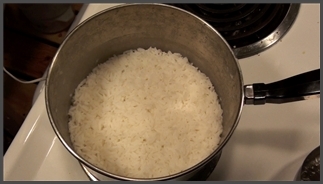 (I had a brief dalliance with a rice cooker for a few months, but unless I was making a full pot's worth, I always ended up with a layer of burnt rice on the bottom. I prefer the stove.) 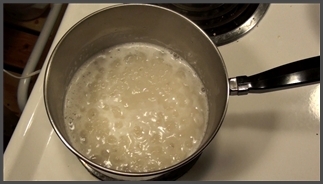 My stovetop method was producing rice that was edible, but it wasn't the direct-hit to the heart that I knew it could be. The grains were swollen, overly soft, and a little bit soggy. I fired up google for advice. 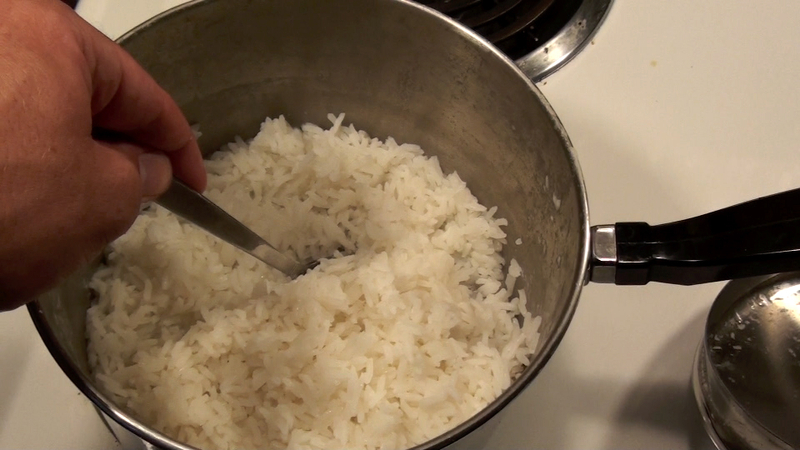 The first site I visited had an interesting method where you put the rice in the pot and then position the tip of your index finger so it's just touching the surface of the rice and then add water until the level reaches your first knuckle. I tried this method (more a rule of thumb I guess—sorry I couldn't resist) a couple of times but couldn't get rid of the puffy, soggy grains. As I sifted through the many, many pages dedicated to this topic, I found no clear consensus about the important numbers (e.g., how much water for each cup of rice, how long to simmer, etc.) but I did find a lot of passion for the subject. My favourite was the list of myths and truths about cooking rice, which also included a warning not to use the "finger" method unless you want glue. Having tried it unsuccessfully myself, I couldn't disagree. I love the diversity of opinion on the internet, even if I don't always have time to entertain a hundred divergent opinions on any given subject. I suspected my problem was the water:rice ratio, so I focused on that in my search. 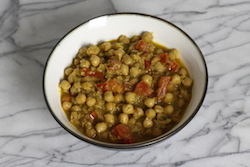 Although there were plenty of recipes calling for the 2:1 ratio that I had been using, there were plenty of others calling for 1.75:1 or less. 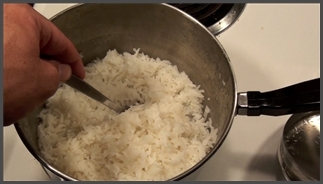 I tried the method described by Niloufer King in How To Cook Rice Perfectly and the improvement was immediate. I'm still playing with the ratio, but I think somewhere between 1.5 and 1.75 times as much water as rice works best for my favourite brand of jasmine rice. 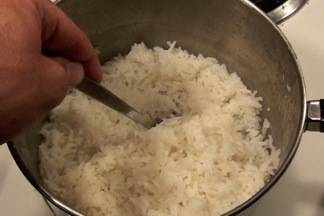 The grains of rice keep their individuality at this ratio and the texture is much more satisfying. So here's what I do. 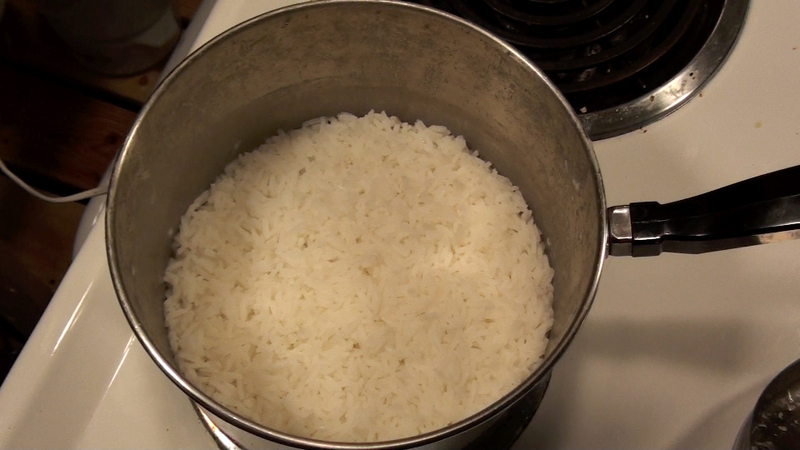 The rice goes in the pot with the water, and the stove goes on high. 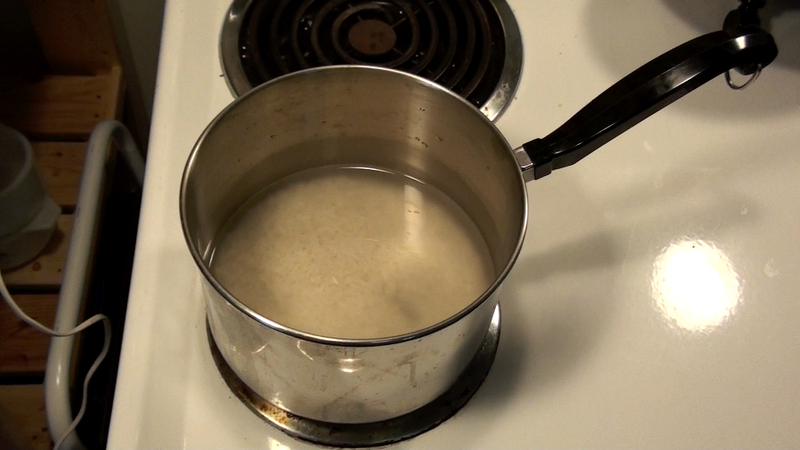 While the pot is coming to a boil, I stir a couple of times, to keep rice from sticking to the bottom of the pot. 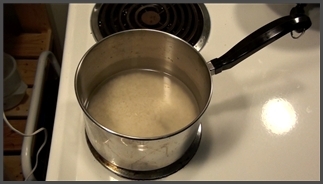 After about 5 minutes, a healthy boil develops and I reduce the heat to just above simmer. I give a minute or two for the temperature to reduce, then put a tight lid on and set the kitchen timer for 9 minutes. When the timer beeps, I turn of the heat and move the pot to an unused back burner for another 5 minutes or so. 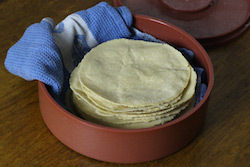 I found this recommendation in a few recipes, including Niloufer's. 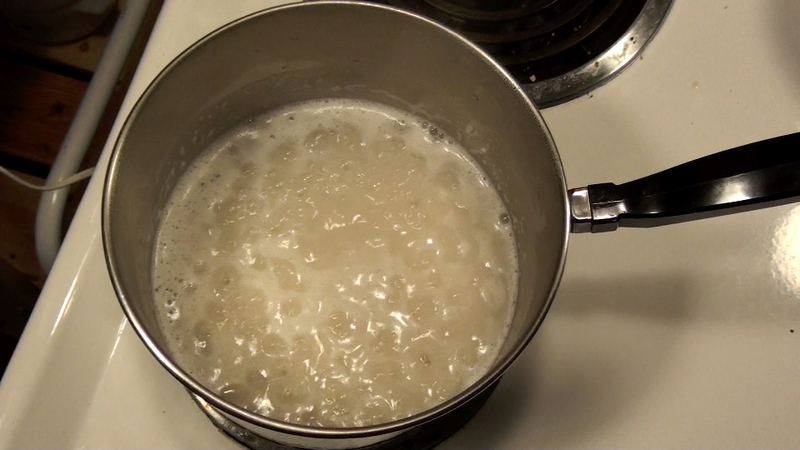 It lets the moisture distribute so that you don't end up with soggy rice on the bottom of the pot and dry rice at the top.